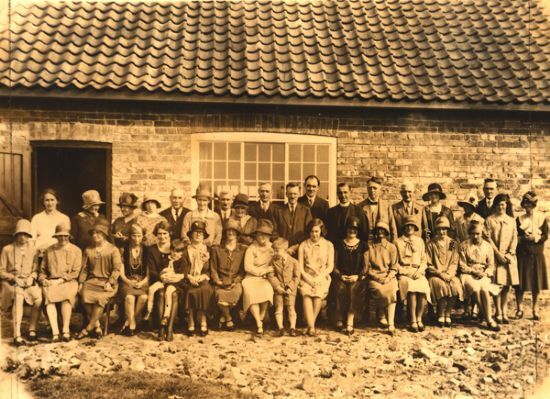 Our Village Hall at Stillington started life as the local school. It became redundant in 1907 with the opening of our present primary school. 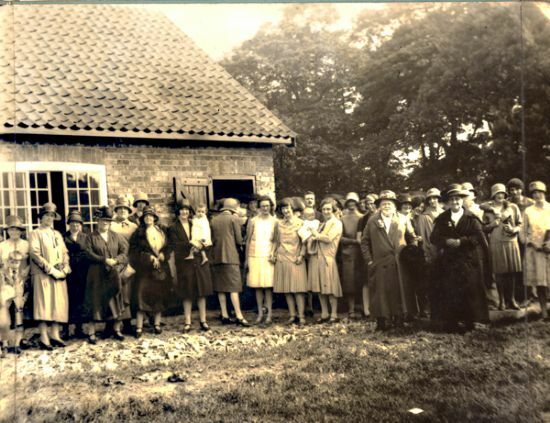 After twenty years of underuse, many of the community activities once held there had also moved to the new 'council school', serious concerns were raised about the repair of the building and in January 1928 a public meeting was held to discuss the matter. The decision was made that the old school shouldn't be allowed to simply decay but that it should be used as a parochial hall for the benefit of the community. Funds were raised by public subscription, and a grant was obtained from the Church Commissioners on the assurance that the residents of Marton and Moxby, their tenants, could have use of the proposed Hall. These funds enabled the old school to be renovated and transformed with the addition of a kitchen, ladies' toilets and a fuel store at a cost of £620. 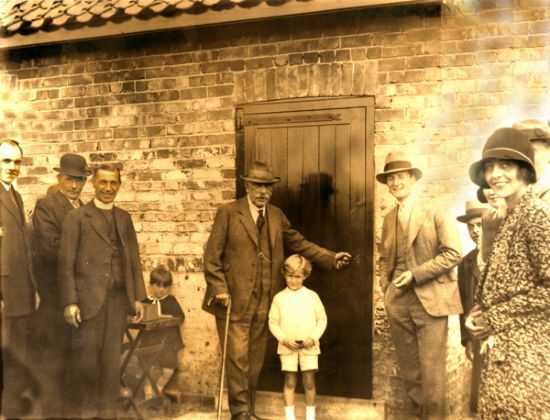 The Village Hall was opened in September 11th 1929, by 'Squire' Matthew Liddell, owner of Stillington Hall, with local MP Robin Turton as guest of honour. The event was well attended, as can be seen from the pictures below. It's also clear from those photographs that the whitewash or render had been removed to reveal the brick below. The main room is described as being '70ft by 24 ft, with seating accommodation for 300 people.' A sale of works was the first community event to be held there on the day of its opening. 1962 saw further changes with a large extension being added to the facade. This contained a lobby, toilets, storage and a committee room. At that time the foundation stone was moved to its present position on the north wall of this new addition to the old building. Today our Village Hall still plays a large part in Stillington's, and Marton's and Moxby's, community life and is undergoing refurbishment, the most recent being a new heating system, which will enable it to continue in that role for many years to come. Please click on an image to get the enlarged version. 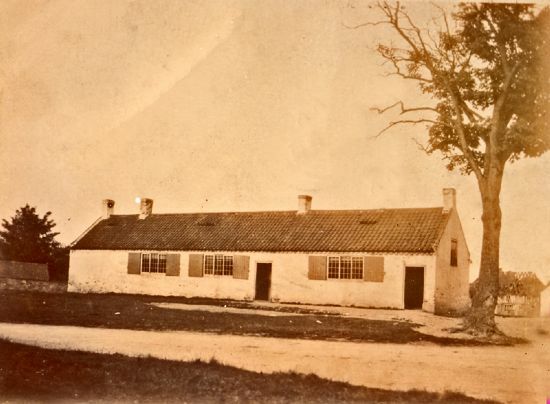 This picture dating from the turn of the 20th Century shows a long, low, whitewashed, (or rendered) building designed to accommodate up to 120 pupils of all ages. Located on the northern wall of the Village Hall.One hundred and ninety years of weather hasn't treated the stone kindly and the inscription is badly worn. 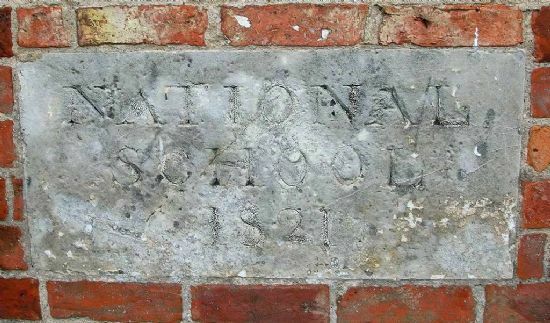 It reads 'National School 1821' and commemorates Harry Croft's founding of the school. Left to Right: John Best Hutchinson, Tom Lofthouse, Rev. H.W Smith,Master Charles Hutchinson, Matthew Liddell Esq., Robin Turton MP, R.C. Wood and Mrs R Turton. 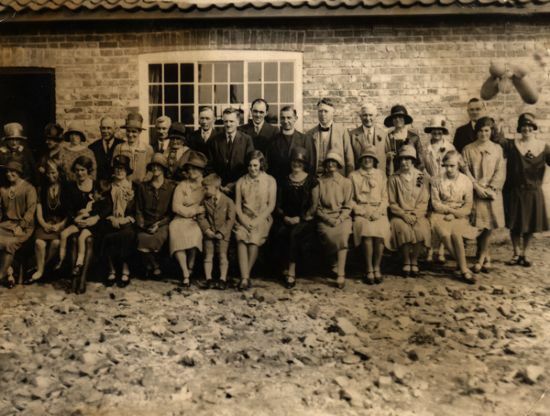 Left To Righ Back Row: Mrs Ethel Scurr, Miss Tenniswood, Mrs T Hugill, ?, Mr & Mrs Tom Horner, Mr R C Wood, Miss Tenniswood, Mr Tom Lofthouse, Mr Spencer Corbett, Mr J.B. Hutchinson, Rev H.W. Smith, Dr C. Bullen, Dr & Mrs Hughes, Miss L Maskill, ?,Mr E Newman, Mary Farrer, Mrs Newman. Left to Right front Row: ?, Mrs J.B. Hutchinson, Mrs A Souter, Mrs Nellie Hope, Miss Elsie Tindall, Master Charles Hutchinson (on Knee), Mrs Bullen, Mrs W.H. Metcalfe, Mrs H.W. Smith & Donovan, ?,?, Mrs Corbett, Mabel Denton, Elsie Neesham, Mary Horner. 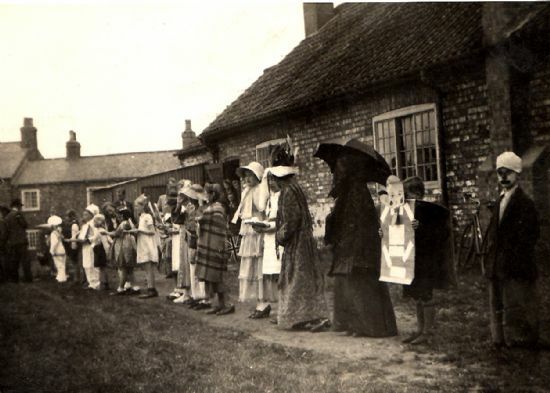 Fancy dress parade outside the Village Hall. Michael Green, first right dressed as a chimney sweep, won ten shillings.